The annual Montpelier bike swap is upon us! Find the perfect new-to-you bike, sell that old bike that’s been taking up space in your garage all these years, or better yet do both! From kids bikes to road bikes, full suspension bikes and fat bikes, it’s all here and waiting for you! As always, Onion River Outdoors helpful and knowledgeable staff members will be on hand to answer any questions you may have and to guide you toward the bike that is best suited for your riding. If you’re selling a bike…Increase the likelihood of selling your bike at the price you want with these easy steps! Everyone wants to buy a clean, shiny bike. If your bike sells, you have some options. 110% of the selling price as of the selling price in store credit towards the purchase of a new bike within one week of the swap (until Sunday, May 11th). Stop by throughout the week leading up to the swap to drop off your bike. An ORO staff member will be on hand to help you decide what price it will best sell at and walk you through the process. If your bike is sold at the swap we will notify you by the next day, or you are welcome to stop in anytime during the afternoon to check and see. Please do not call the store between 9am and noon the day of the swap to see if your bike has sold – our staff will be busy selling all those awesome bikes and we will be unable to check on the sale of a specific bicycle. You’re welcome to stop by the swap or call us after 12pm to see if your bike has sold. Thanks for your understanding! 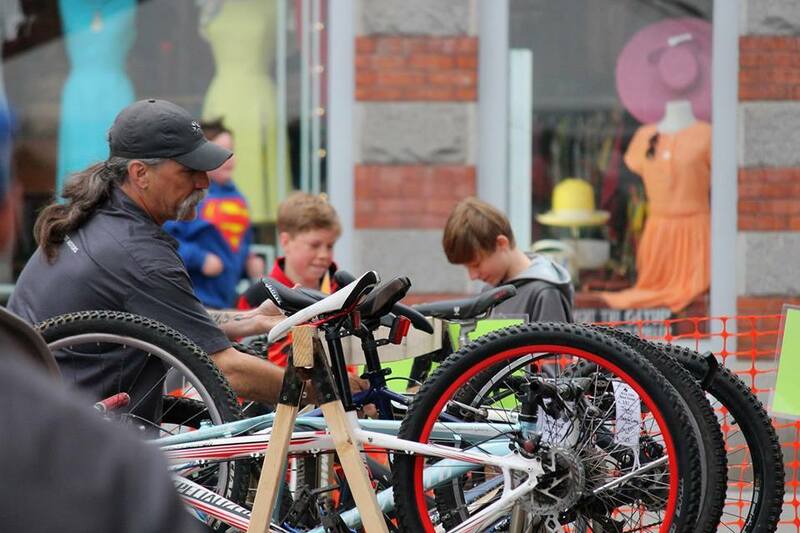 If your bike does NOT sell at the Bike Swap, you are responsible for picking it up at Onion River Sports on Sunday, May 7 between 11am and 4pm. If you do not pick up your bike, we’ll donate it for you to a great local organization.